Paul Eldrid, Scott Disley and the Team on General Lee have claimed Western Australia’s top Offshore prize – the coveted Siska trophy. The late Rolly Tasker rededicated the Siska Trophy in 1988, to be awarded annually to the most outstanding yacht in the Western Australian Offshore Yacht Racing Series, and is awarded to the top Scoring yacht in the Blue Water Championship on IRC. 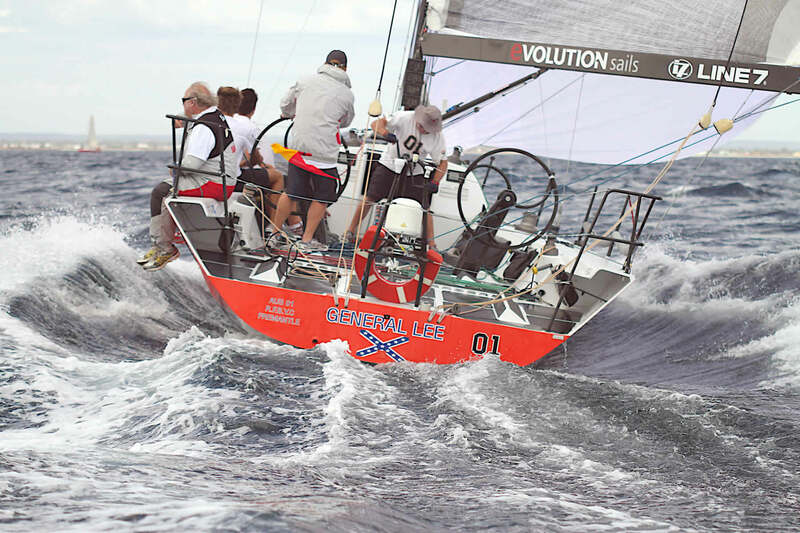 The General Lee team had a disappointing start to the season missing the 235nm Naturaliste Race, but strong performances in the Coventry Reef Race (1st), Bunbury Return Race (1st), Iberia Race 2nd, Jurien Race (1st), Geraldton Race (3rd) and Geraldton Return Race (2nd) saw the General crowned as champion. What’s even more impressive about this victory, is that it represents the fifth year in a row that a Freshie boat has taken the Siska Trophy, a remarkable feat that no other club has even come close to matching. Victories by The Next Factor (twice), Sled, Black Betty and now General Lee stamping the Club’s mark on the WA Offshore racing scene.